The majestic road leading to mount Alaric invite you for a stunning walk, far from urban pollution. 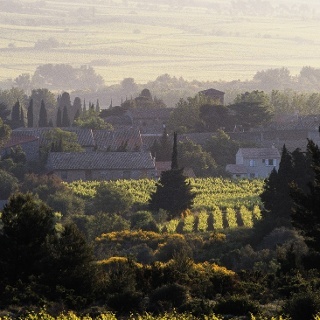 This small massif, peaking at 600m, stands as an important symbol between Carcassonne and Narbonne. The northern buttress of Corbières, it draws the limit between the Mediterranean and Atlantic influences. One can gain access it from the road D114, beyond the fortified village of Ribaute. 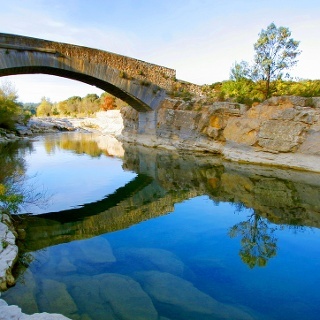 Then follow the road between Camplong-d’Aude and Montlaur and the impressive canyons of the Congoust. When you take the road D57, you get to the mountain by the pass of Le Fer-à-cheval, from which you will enjoy the beautiful viewpoint reaching the Montagne Noire. You may also reach Pradelles-en-Val and Monze. While the vine is still present there, the scrubland, full of rosemary and juniper, dominates. Another scenic road is that of Floure, which will take you to Barbaira. Charming villages uncover all along road 113: they feature calmness, authenticity, art de vivre, which all serve rest and pleasure. ust before the city entrance of Monze, take the small road of Miramon, then park and follow the path bordered with holm oaks, downy oaks and black Austrian pines, right beyond the barrier. From the belvedere by the ruined Château de Miramont, outstanding viewpoint is on: the Aude valley, the hills of Minervois, the Montagne Noire. This fortress resisted the Crusaders’ assaults for 11 days. People say that king Alaric II was buried there, anointed with incense, myrrh and lavender. Never drive more than two lanes at a time and pull into a single lane when traffic conditions require. Be informed and keep the emergency numbers.